The Comparative Genetics Laboratory at the University of Wisconsin School of Veterinary Medicine applied for a grant to research GSD diseases and they made the finals. It is now open to a public vote to determine the grant winner. I am asking for everyone's vote, I've been going to the UW Vet Teaching Hospital for over 20 years and everyone there is amazing. It's official, WE ARE FINALISTS!!! As we continue to expand our work, we have entered a contest from Pacific Biosciences (PacBio) to win a genome assembly of the German Shepherd Dog and WE NEED YOUR HELP! Go to https://www.pacb.com/…/2019-plant-and-animal-sciences-smrt…/ and vote for the German Shepherd video! SHARE! Get your friends to vote! Get your mom to vote! Get your kids to vote! This assembly will be HUGE for our laboratory as we work hard to understand genetic structural differences that exist between breeds. It will also allow us to expand our work to study diseases that affect German Shepherd Dogs starting with fibrotic myopathy (which also affects horses, and is similar to torticolis in humans!) Thank you for your help!! I did, saw your post on FB! We're still behind the brown fox. Thanks for voting everyone, please keep it up. UW said they're behind the fox project by a good margin. Today is the LAST DAY for voting!! The last time we were updated on our status in the competition, we were in a close second place. Thank you all for your votes, likes, and shares! We have truly enjoyed hearing from the dedicated owners and breeders that support our work. Let's make this last day count! Polls close tonight at 5 p.m. PDT! 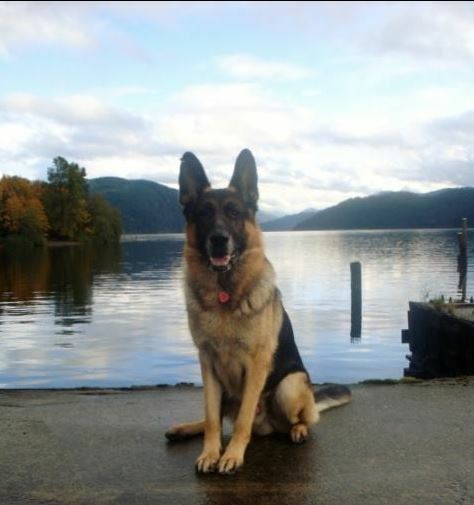 Help us win a German Shepherd Genome so we can study this beautiful breed! WE DID IT!!!!! YOU did it!! 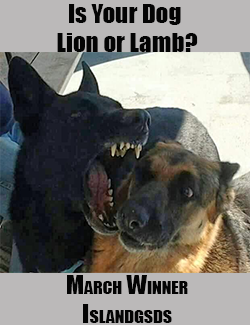 Thank you to everyone for your votes, your shares, and your enthusiastic support of our German Shepherd project! WE WON A GENOME! As we've mentioned during the voting period, this is truly a gift that will keep on giving. Fibrotic myopathy is only a start--this genome will enable many more projects in this beloved breed. We at the Comparative Genetics Laboratory THANK YOU from the bottom of our hearts! Stay tuned for updates on this project as we move forward!